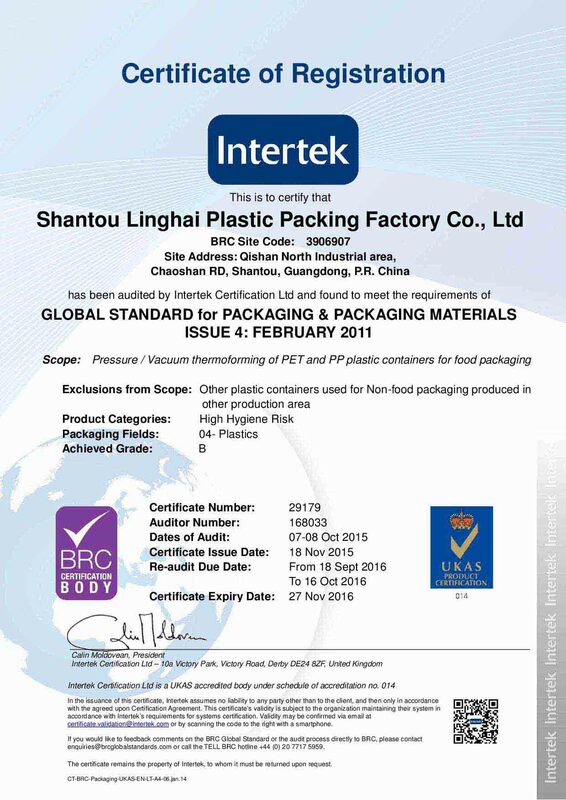 Company Overview - Shantou Linghai Plastic Packing Factory Co., Ltd.
16YRSShantou Linghai Plastic Packing Factory Co., Ltd. 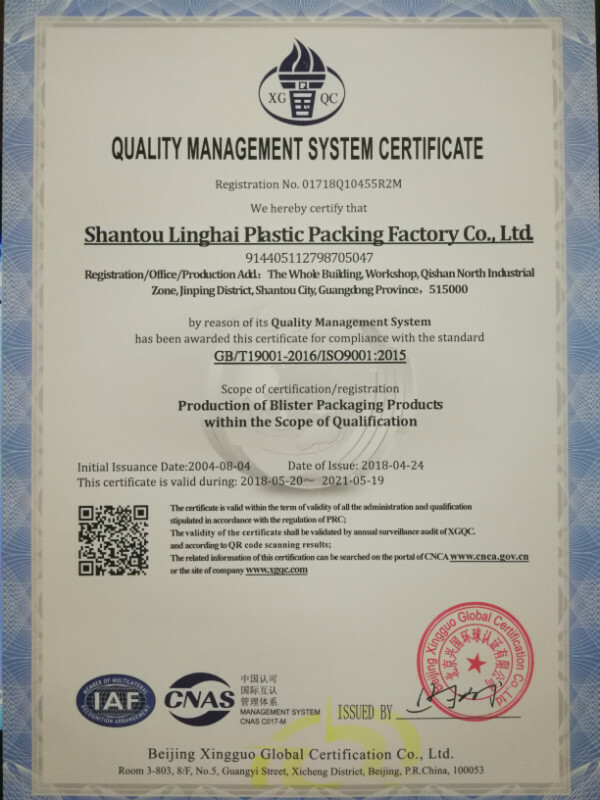 Founded in 1992, Shantou Linghai Plastic Packing Factory Co., Ltd. has over 20 years experience in the industry of plastic packaging. 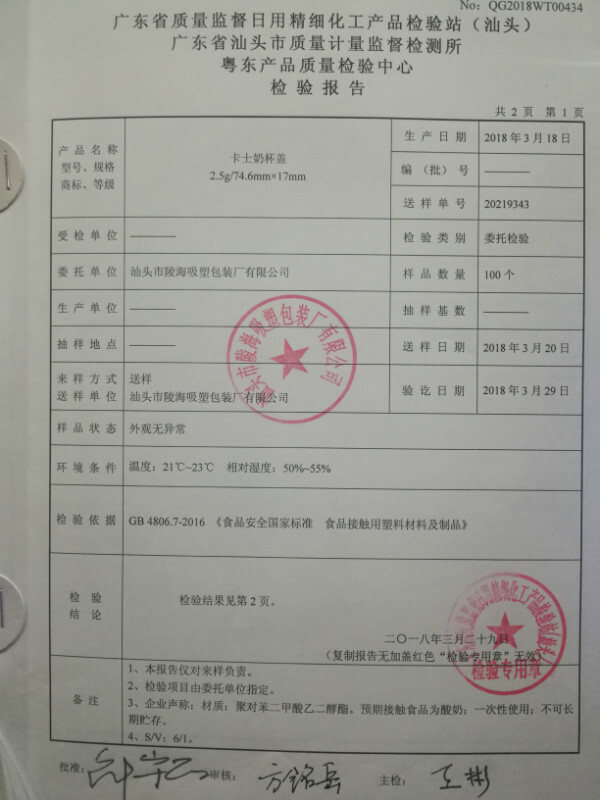 Our company produces packaging items used in food service, fresh produce industry, bakeries and delicatessens, and many other industries.Linghai Plastic Packing owns a dust-free workshop covering an area of 35,000 square meters. 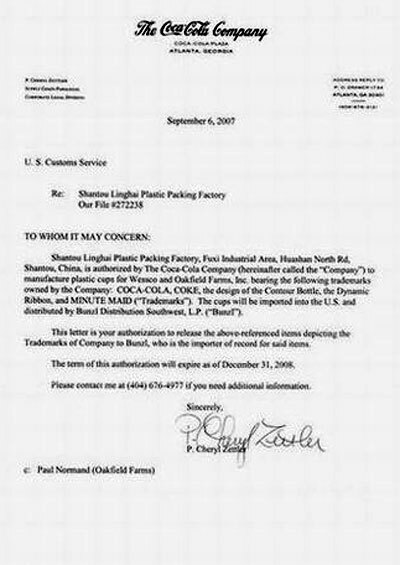 Our productivityis enhanced by our professional and advanced equipment. 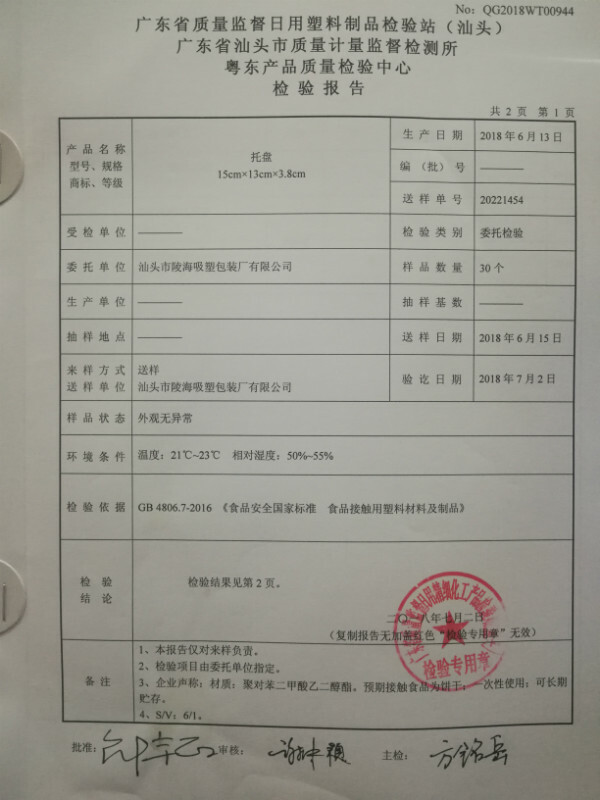 They are six advanced PET, PP and PS sheet extrusion lines, two sets of KMD four-station thermoforming machine (KMD 78) and KTR cup forming machine (KTR 5) imported from Germany, 30 sets of automatic thermoforming machine. 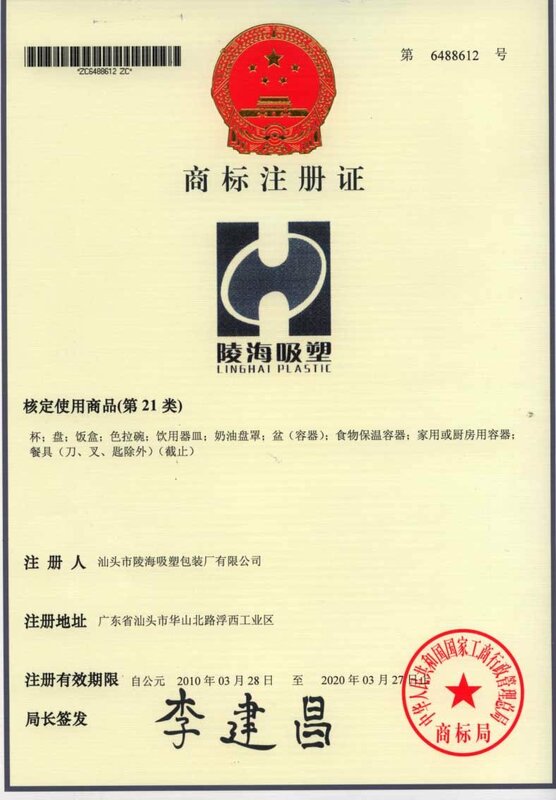 We have a daily capacity for producing 80 tons of plastic sheets and 60 tons of final products. 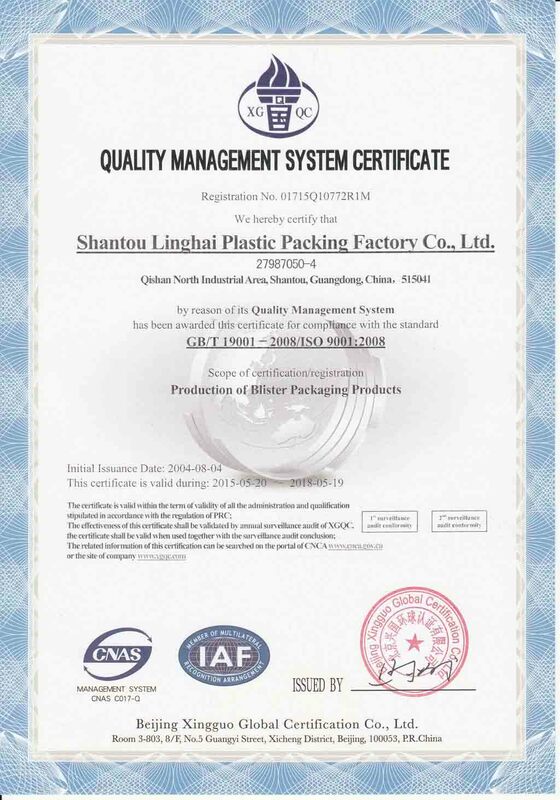 In Linghai Plastic Packing, we have also established a big-scale molding department. 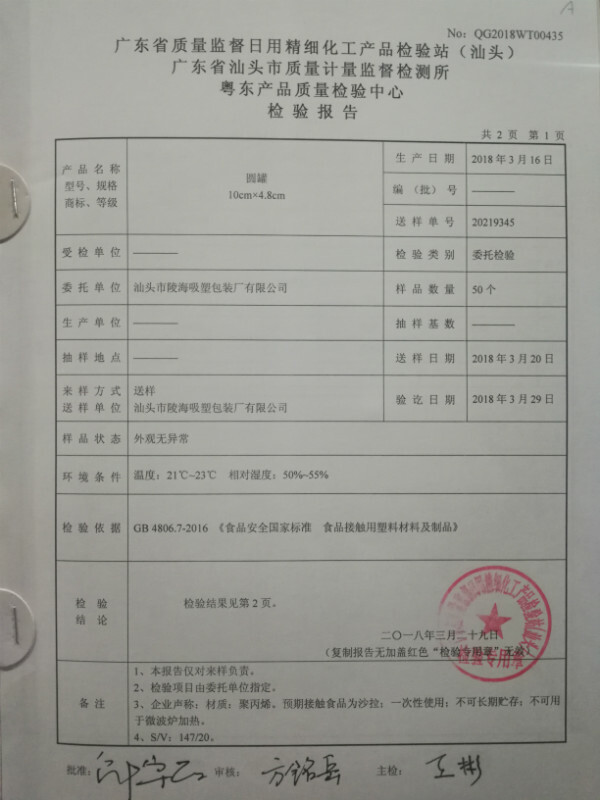 With seven computerized numerical control (CNC) engraving and milling machines, three CNC lathes, two CNC wire cut EDMs (Electrical Discharge Machining) and two CNC linear cutting machines, we could provide the service of product design, development and mould making to our customers.The high quality of our products comes from a well-organized management system and strict quality control process. 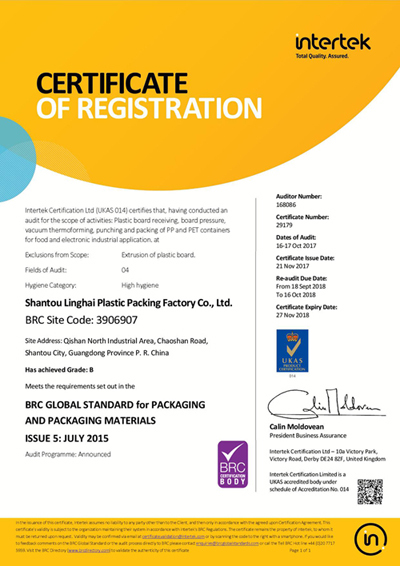 Linghai Plastic has passed the certifications of ISO 9001:2000 and BRC global standard of packaging. 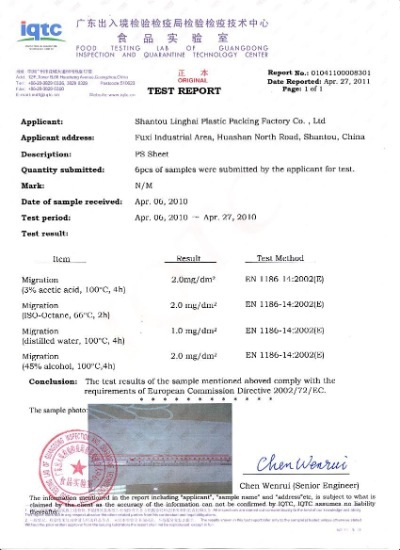 Guaranteed by these certifications, we only offer plastic items of the best quality.You can always feel free to contact us if you are interested in our products and our company as well. 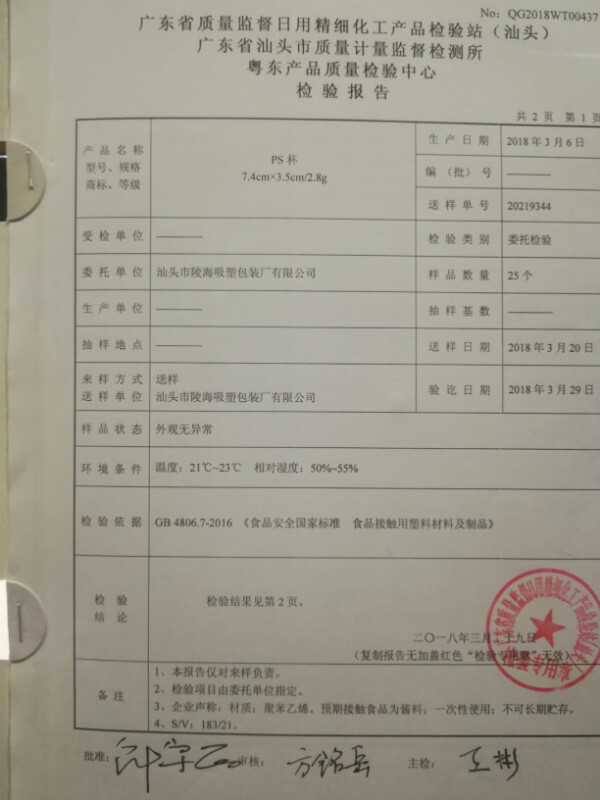 Plastic board receiving, board pressure, vacuum thermoforming, puching and packing of PP and PET containers for food and electronic industrial application.